When the police snitch on the police, you better pay attention. Los Angeles Police Department Commanding Officer Captain Peter Whittingham of the Criminal Gang-Homicide Division (and let’s hope he’s not demoted after this) has penned an eyebrow raising tell-all letter to the police commission regarding the reappointment of Chief Charlie Beck. In it he details cases of serious misconduct and what he alludes to as Chief Beck’s unwillingness to discipline certain department favorites. Just so that you’re caught up, yesterday hundreds of unionized police officers packed the Los Angeles City Council chambers to demand higher salaries and improved working conditions, with some saying officers’ pay is so low that some are forced to work multiple jobs to make ends meet. The rank-and-file officers, part of the 9,900 represented by the Los Angeles Police Protective League, contend that despite making sacrifices in recent years to help the city’s budget, they continue to receive low pay and are subjected to an unfair disciplinary process, which has contributed to low morale among their ranks. Judging from Captain Whittingham’s letter, I’d say so and on the pay thing, I actually agree. LAPD officers are paid less than officers from neighboring city’s and we all know that the LAPD deals with the crème de la crème of criminals and your garden variety of citizens. If you don’t believe me, follow @LAPDScanner on Twitter. But I digressed. While mine may be the only name on the document, I can assure you that the views expressed are shared by, and made on behalf of, a vast number of officers, supervisors, and commanding officers on this department. Ladies and gentlemen, it doesn’t take a rocket scientist to figure out that something’s not right within the LAPD. Too many officers of various ranks are risking their own jobs to step forward and shine a light on what’s really going on in the department. When the police start telling on the police, we need to all pay attention. After the Hillman and Lygagate scandals, I didn’t think it could get any worse, but apparently I was wrong. I’ve highlighted some of the letter below and you can click here to download it in its entirety. But nowhere has Chief Beck reversed the cultural trend of the department, and exposed the City to greater risk, than the manner in which he has corrupted the disciplinary system. As indicated in some of the recently reported cases, Chief Beck’s selective, situational, and convenient enforcement of the rules has brought such discredit to the disciplinary process, that employees (and members of the public) no longer have faith or confidence in the fairness of the system. His well-orchestrated effort to protect his social popularity (reluctance to make unpopular decisions), his refusal to hold all employees equally accountable (his failure to lead), and his effort to protect the status quo at all cost, has had the most adverse impact on the department. Some of the well-publicized cases include the officers who fired more than 100 rounds at the two women who were delivering newspapers; the officers who deliberately destroyed more than 50 in-car video antennas; his overturning of the disciplinary Board’s recommendation to terminate Officer Hillman for very serious misconduct; and the recently reported utterly disgusting remarks made by Detective Lyga. In all of these cases, Chief Beck’s response appeared designed to protect his social popularity, rather than holding employees accountable. In the case of Officer Hillman, he justified his actions with the claim that the officer was found guilty of only three of six charges (leaving the impression that if the officer had been found guilty of all six charges, he would have terminated the officer). This excuse is typical of the Chief’s ability to exploit the public’s lack of knowledge of the disciplinary process: If he wanted to be transparent (as he claimed to be), he would have also informed the public that the officer was found guilty of the most egregious charges. In response to the recent public outrage about the Lyga recorded tapes, he attempted to show his ability to take quick and decisive actions by announcing that he initiated an investigation and sent the detective home. However, he failed to tell the public that this recording came to his attention in November 2013, and again reported directly to his very good friend, the commanding officer of Internal Affairs Group, in April this year. This type of double standard, hypocrisy, and public deceit has become commonplace under Chief Beck’s administration, and should no longer be accepted/tolerated by the commissioners or the Mayor. Captain Whittingham also details several cases serious misconduct that he feels was basically swept under the rug and kept quiet by Chief Beck and out of the public. To test his sincerity, please start by asking him (again) about the captain who was stopped by Riverside Police for what may have been a DUI investigation. Is it true that his relationship with the Chief influenced the abbreviated investigation and the eventual outcome of that incident? To get the full story, you may want to have the Inspector General speak to the person who picked up the captain from Riverside Police, and his next-door neighbor who has the whole scoop on the incident. Ask him to explain how he has held the captains who are involved in the “Ghost Car” scandal accountable for padding their daily deployment with officers who they knew were not deployed. Then there are the captains/commanders against whom judgments were returned for retaliation, discrimination, and other unfair labor practices, yet they were promoted and placed in much higher positions of responsibility. How were they held accountable for their actions? I would also suggest that you ask him to respond to the specific allegations of corruption that has been levied against him by Detective III David Nunez and Sergeant II Cathy Marx. But more than any other case, you must ask him to explain why he terminated a Board of Rights (that was in progress), and agreed to a settlement that overturned the downgrade of a Sergeant II who was charged with inappropriate sexual conduct. No,…this was no ordinary case. In fact, it was not even a settlement, as you may know it, this was more like an extortion, a blackmail, and a highjacking of the disciplinary system. While you should pull the case, read the investigation, and review the transcript before the Board was aborted to get the full story, here are some brief facts. In the case in question, Internal Affairs investigated a series of allegations against him, including some for having inappropriate/improper sexual relations with young female officers under his supervision. The allegations were sustained against him, and he was downgraded to the rank of Sergeant I, and directed to a Board of Rights (to be demoted and/or terminated, if found guilty). When all the dust was settled and the Board Chair inquired what he meant by those statements, the sergeant implicated another female officer (said to be a female officer known to the Chief) and threatened to notify the press. The Chief was notified, the Board of Rights proceedings were aborted, and the matter was eventually settled with the sergeant being restored to his original rank of Sergeant II. If this is not blatant blackmail, institutionalized corruption, and cover-up, then I really don’t know what is. While there is no suggestion (that I am aware of) that the young female officers were forced to engage in the sexual acts with the sergeant, the power and authority that the sergeant had in the division cannot be overlooked. To the extent that he created an environment where these young female officers felt that they had no choice, or were otherwise fearful of losing their jobs and/or declined opportunities for upgrades if they refused to give in to his advances, is the extent to which the entire department should be outraged about how this incident was handled by the Chief. As a commanding officer (and a parent) with two daughters who could join the department, I shudder to think what would happen if any of my daughters was pressured and/or violated in this manner by their supervisor…I wonder what the Chief would have done had it been his daughter? This was an opportunity for the Chief to show courage and leadership, but for unknown reasons, he gave into the sergeant’s self-serving demands and in the process, the result was the irreparable damage done to the credibility of the disciplinary system. 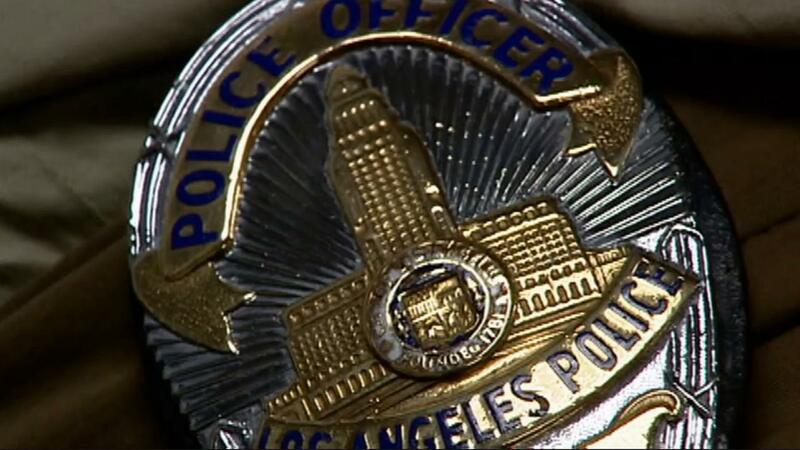 Time is running out for Los Angeles to weigh in on the reappointment of Chief Beck. It seems to me that Beck’s department has more to say about his leadership than the community does. The next meeting of the police commission is next Tuesday in downtown Los Angeles. There are usually plenty of seats of available. Selected as one of ESSENCE Magazine’s 25 Women Shaping the World and one the Most Influential African-Americans in Los Angeles Under 40, on radio, television, and in print, Jasmyne Cannick is a politics, race, and pop culture social commentator. She can be reached at www.jasmyneonline.com and on Twitter @Jasmyne. There is no question Beck needs to go. He’s a clone of former chief, Daryl Gates – period.